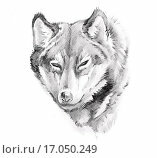 №14279409 Timberwolf or wolf male (Canis lupus ssp. occidentalis) captive, Domaine de Sainte Croix, Rhodes, France, Autumn 2013. №25222281 Coyote (Canis latrans) walking in snow, Yellowstone National Park, Wyoming, USA. February. №25157181 Ethiopian wolves (Canis simensis) mother and pups from the Tarura pack, Web Valley, Ethiopia.